Pipkin’s brings a personal touch to the business of selling groceries. When Steve Pipkin graduated from college, he wanted to go into farming. But, he says, “I needed to know how to sell the stuff I was going to grow.” So he got a job at a fruit market—and wound up discovering his calling. 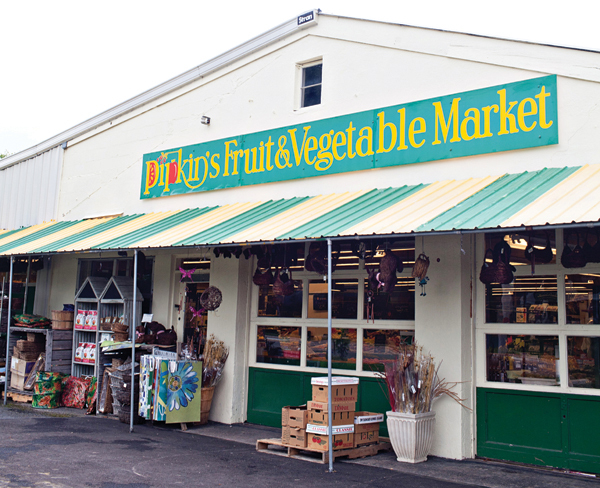 Six years later, in 1983, he opened Pipkin’s Fruit and Vegetable Market in Blue Ash, and the shop has been a neighborhood institution ever since. Three years after Pipkin’s opened its doors, Steve and Ben started selling flowers, too, and garden goods have grown into a large portion of the store’s business. The outdoor garden center is lined with colorful planters, ceramics, outdoor art (curated by Steve’s wife, Kim), and rows of flowers and trees. And, oh yes, Steve hand-selects the plants weekly. The owners’ attention to detail doesn’t end with the stock. In addition to knowing all about the peaches and plums (and corn, and tomatoes, and green beans…), Steve can also tell you about many of the trees on the property because he planted them himself 15 years ago. “It’s a lot of fun,” he says. “I really like what I do, and I like the people I work with.” Sounds like a pretty good business plan to us.